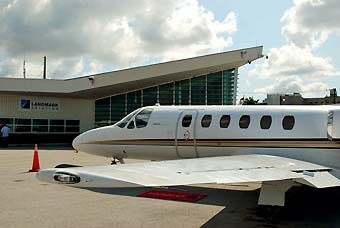 The General Aviation Center (GAC), which is operated by the Miami-Dade Aviation Department, offers services to private flights every day of the year from 24/7. Services are limited to telephones, restrooms, information and a roomy public lounge with vending area. The GAC also houses US Customs and Border Protection, whose function is to clear arriving international flights, whether they be private, charter or cargo flights. Road access to the GAC is through NW 36th Street and 57th Avenue and the telephone number is 305-876-7550. 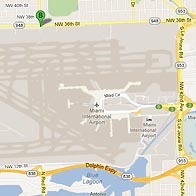 The following requirements and/or conditions apply to general aviation operations at MIA: Use of a transponder; clearance to go into and out of the FAA tower controlled area and training operations are prohibited. Ultralight aircraft and gliders are also prohibited. 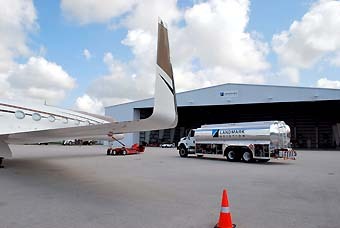 Welcome to Signature Flight Support, Miami International Airport's premier FBO, where we are committed to unsurpassed customer service and safety.